I make a lot of bad decisions in life, usually having to do with food and usually in gas stations, for some reason. Like, I don't do drugs but I will eat a hot dog that has fallen down beneath the rollers in a Cumberland Farms. Because it's that same kind of rush, you know? Like, you don't exactly know what you're getting into? I recently ate a gas station empanada … Empa-not-a good idea, you guys. Says Church: I eat most of my meals in gas stations and that's not a joke. I'm probably going to die. 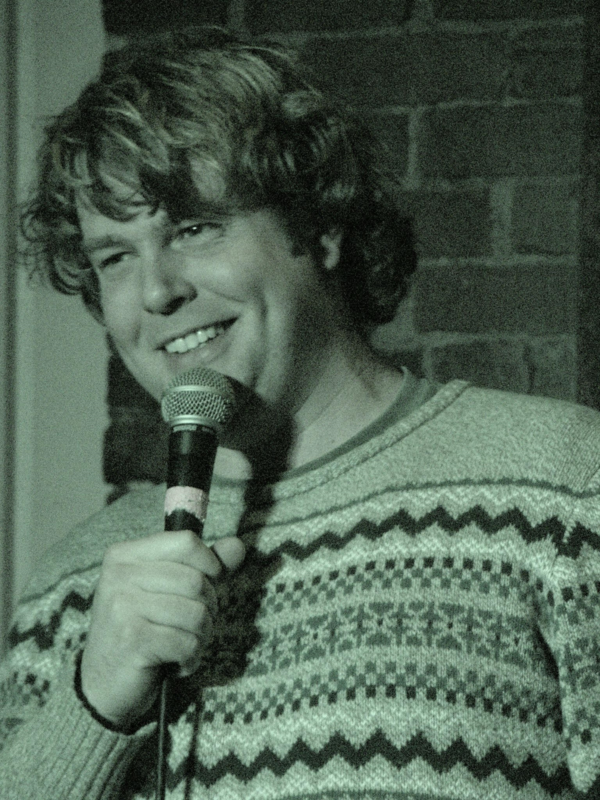 Paul Church is a standup comedian based in Burlington. He is a two-time finalist in the Vermont's Funniest Comedian contest and performs regularly across the state of Vermont and throughout New England. He has opened for several national acts, including Alonzo Bodden, Jay Larson and Emo Philips. Paul Church performs at Comedy & Cupcakes, a standup comedy benefit for the Integrated Arts Academy, on Friday, May 5, at ArtsRiot in Burlington.